Bring-Your-Own-Device [BYOD] is coming. It's become a generally accepted truth that the workplace is becoming both more mobile and more personal, as swathes of workers bring in their own smartphones, laptops and tablets to do the day's tasks on. The average IT stack, or the number of devices per person, looks to rise from the current 2.8 average to 3.3 in 2014. The Middle East is no exception, with the region gladly accepting that mobility is the way forward. This handy infographic shows how the Middle East has one of the best relationships with BYOD of any region in the world. While the EMEA average for allowing some form of BYOD is around 69%, for the Middle East that figure rises to a massive 80%. However, a different study from Network Middle East claims that 37% of organizations were firmly against BYOD. Unsurprisingly, Apple is most popular for both phone and tablet, with Samsung following and Android looking to gain ground in the near future. Apple's relatively few models make it easy to support, while the various range of Android makes and models mean making sure everything works across the board can make it difficult and time consuming . Yet despite all this eagerness, only 22% of businesses have more than ¼ of employees actually bringing their own devices (the ones that do generally own a larger stack of three or more), though this figure is expected to rise three-fold by 2016. According to a study by Spiceworks, SMB s' budgets are on the rise, in part due to a rise in purchasing of tablets and smartphones. But it also showed some interesting statistics about how they approach BYOD. Currently, some 75% of SMBs currently help manage and support employees' personal devices bring in the workplace, with 60% of respondents supporting iPhones, 55% supporting Android phones, and 41% supporting iPads. Despite these surprisingly high numbers, actual opinion on them varies far more. Only 20% of SMB IT professionals fully embrace the trend as the future, 35% think that it works well for some devices but not all, 25% say it's a headache for their IT department, while the remaining 20% remain undecided. Unless you're buying your workers ' personal devices for them (more on that later), there is plenty of money to be saved from not buying various devices. Obviously, some types of work require a fixed workstation but it is possible to do away with large swathes of infrastructure and associated costs. Staff who work from their own personal devices are generally happier than their none BYOD counterparts. This satisfaction leads to increased motivation and ultimately greater efficiency, as happy workers are generally better workers. BYOD is more popular among the younger workers, and the real talent will be attracted to the companies that allow them the freedom to work how they want to. While there's no need to force the older workers to abandon their workstations if they don't want to, not giving people the option will cause you to suffer in the long run. Of course with every emerging trend or technology that deals away with old problems , new ones will inevitably arise. "In the UAE 56% view using their device at work as a right rather than a privilege and more than 1-in-3 employees would contravene a company's security policy that forbids them to use their personal devices at work or for work purposes. 72% believe that they are ultimately responsible for the security of their own personal device when used for work purposes, compared to 15% who believe that it is the responsibility of the organisation"
While those 56% may not be in the right, it highlights the biggest problem in BYOD, and that is people. Some companies are legitimately worried about security, both from breaches and losses. Laptops and mobiles lost or stolen are constant headaches for companies, causing at best embarrassment but more often large amounts of money and a severely damaged reputation. The rise of mobile attacks, from infected apps to general poor security on devices also poses a risk to companies. Developing in-house apps allows them to be tested and secure, but the more time, money and effort put into apps the less financial incentive there is to begin with. Investment into Wireless Networks (WLAN) is also expected to grow in the next few years to deal with the boom in devices eating up wireless data. There are some more personal issues to deal with. Some companies are very happy to let their workers buy their own devices, but there is a sizeable amount who are willing to provide devices for their staff in order to help maintain continuity and in turn help security and reduce issues with applications and software. There is a more personal problem associated with BYOD. Having your workspace in your pocket or constantly within arm's reach creates an ‘Always On' culture that breeds workaholics. While that might sound great for productivity, it can ruin your workers. The need to always answer just one more email or phone that Australian client puts them under enormous pressure and stress; it can affect their personal lives, and relationships, from lack of sleep and disrupting eating habits to sacrificing family time and events. Stressed, tired and unhappy workers create low quality work. Sometimes the signs can be difficult to spot, but keeping the work environment a happy one is a good place to start. 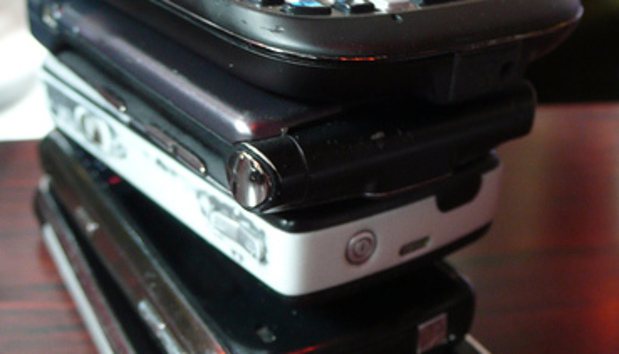 The general consensus is BYOD is coming, whether you want it or not. Even if you set a strict ‘NO' policy, chances are staff will end up doing it in secret , causing no end of problems for your business, or you may repel the best and brightest in the first place. While it might not be the easiest thing in the short-term, embracing BYOD is almost an inevitability, and the best thing for any business who hasn't joined the revolution is to do so as soon as they can, and for those already on the bandwagon to make sure rules are in place and the both the security and technical side of things are water-tight. « Dan Swinhoe (Asia)- Myanmar: Unpolished Gem or Fool's Gold?